Discussion in 'African Cichlid Identification' started by killiguy, Oct 4, 2011. H. lifilli has never truly imported into the hobby, and the fish that have been misidentified are most likely guttatus. A fish from the lower Congo River basin started coming out about 8 years ago called H. sp. 'Moanda'. Anton Lamboj (currently working on the revision of the genus) is now using H. cf. lifilli 'Moanda' for that fish, and will identify it as H. lifilli when he publishes. You fish looks like H. guttatus to me, because the other species (the wild varieties that is) show a lateral line spot when red. H. guttatus usually does not dipsplay a spot. Is there a reliable photo library of the Hemichromis forms,it seems even more confusing than taeniatus forms which I have to study up from time to time or I forget whats whats. Unfortunately, there is not a definitive photo preference for jewels. I have a big collections of jewel photos that I spent a couple years accumulating: then I sat down with Anton Lamboj and he opened file after file saying 'guttatus, guttatus, guttatus, guttatus...."
The only statements in the article I question are that H. lifilili is common in the hobby (it is not... H. guttatus have been exported as lifilili) and that Anomalochromis thomas is 'widespread' in West Africa (it is only found in the north west areas). THe other species that has not been exported very often (if ever in any great numbers) is H. bimaculatus. It is another that is confused with guttatus or paynei. 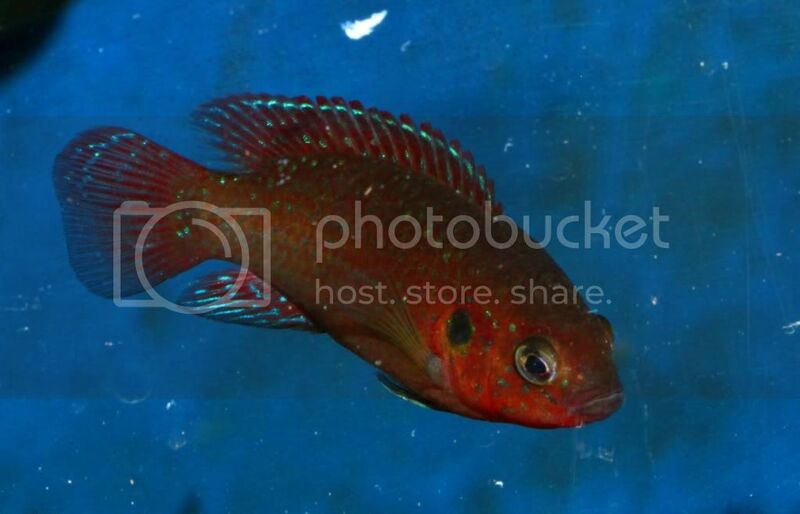 I wouldn't rely too much on the sydneycichlid.com article above. Much of the information contained within is just blatantly wrong.